Be For You were founded in 2006 in the northern Spanish city of León. The mission of the band was to play Hard Rock. First, they covered songs that they liked. But soon afterwards Be For You began to compose their own material. This could then be heard on their debut “Beyond Love And Compassion”, which they produced in 2010 on their own. Since then they are also on the road with a stable lineup. So they could work on new songs in peace. For the current album “The Things I Never Told You” they could win the outstanding Italian musician and producer Alessandro del Vecchio (Eleventh Hour, Hardline, Voodoo Circle), who has worked for many famous Hard Rock / AOR bands. The cover designer is also no unknown in the scene. The Brazilian graphic artist Gustavo Sazes has already created album covers for Kamelot, Jeff Scott Soto or Rage. Meanwhile, Be For You also have a record deal with the Italian label Volcano Records. These are good prerequisites for raising awareness even outside their home country. “Words Unspoken” offers a view of what awaits the listener in the next 45 minutes. This is not an intro as usual, but rather an overture. Many other bands can take this example. The introduction then seamlessly merges into the song “One With The World”. And you can hear beautiful “Good Mood Rock”, Hard Rock with US-American character. In addition to the excellent voice of Ángel Díez, especially the guitar melodies convince. Then the listener can hear banging riffs on “The Lession”. Reminiscent of the early stages of Bon Jovi. Bass and drums give the pace discreetly. In between, the guitars are literally singing. Outstanding is “Hope Remains (Day By Day)”, hymnic melodies, strong vocals by Angel, supported by Spanish songstress Rut Marcos Andrés (Rudy Black). With “Those Sundays Are Gone” follows a very balladesque song. Although a bit too fast for a “real” ballad, great choruses and beautiful guitar hooks invite you to dream. And with “Shout” the song title is concept. This is a real cracker, hard and rhythmic, insane Guitar Solo and punchy bass line. For me, that’s the highlight of the album. Fittingly, futuristic-sounding keyboards then introduce the instrumental piece “Satellite A-9”. A rocking interlude that is fun. Especially the guitarists can let off steam here. After synth intro you can hear playful (keyboard) melodies in “Light”. Here, the Spaniards have certainly looked over the counter, and pop melodies included. This is followed by “Nothing Lasts Forever” again a true hard rocker, in which again the interaction of the twin guitars and the catchy chorus are emphasized. The bouncer unites once again all the trademarks of the Spaniards. 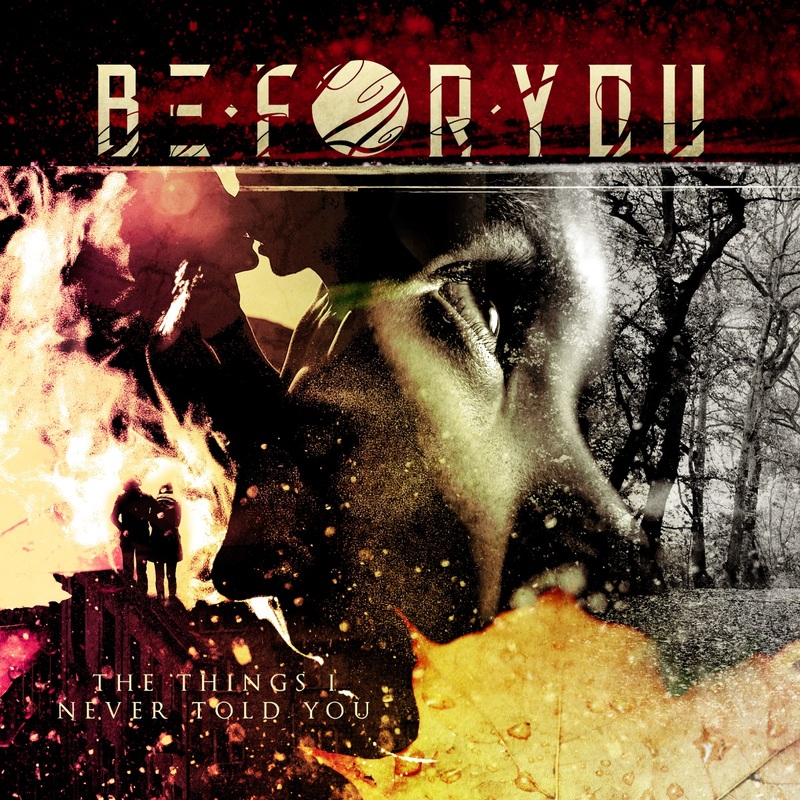 Alternating punchy and catchy melodies, great vocals and epic choruses make “The Things I Never Told You” to a great hard rock anthem. “The Things I Never Told You” is an excellent hard rock album that offers great listening pleasure from the begin to the end. Very good musicians have teamed up to indulge their passion, the classic melodic Hard Rock. Varied compositions and arrangements characterize this album. And Be For You will not shy away from experiments. Synthie sounds and pop melodies are harmoniously integrated into the songs.